Style, sophistication, and durability; this is what you will get with The Gear Bag by Best Made Company. This large capacity bag, with its durable design and kevlar handles, is perfect for any man looking to carry tools or office gear. 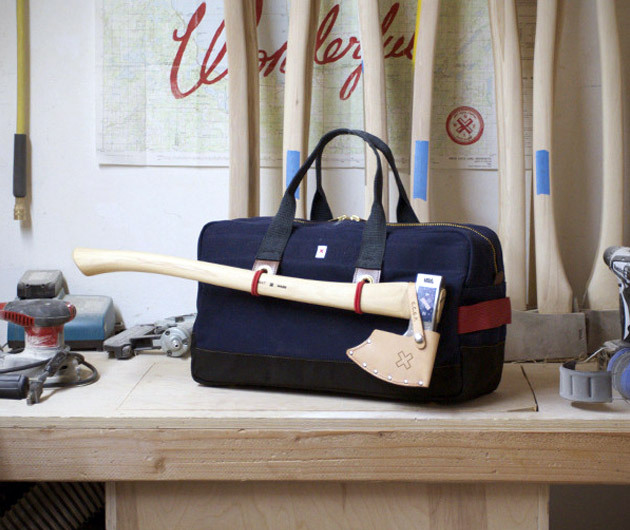 The unique navy canvas with brass accents will ensure whatever you decide to carry in your bag will be safe and dry.